Traditional cameras—even those on the thinnest of cell phones—cannot be truly flat due to their optics: lenses that require a certain shape and size in order to function. At Caltech, engineers have developed a new camera design that replaces the lenses with an ultra-thin optical phased array (OPA). The OPA does computationally what lenses do using large pieces of glass: it manipulates incoming light to capture an image. "Here, like most other things in life, timing is everything. With our new system, you can selectively look in a desired direction and at a very small part of the picture in front of you at any given time, by controlling the timing with femto-second—quadrillionth of a second—precision," says Ali Hajimiri, Bren Professor of Electrical Engineering and Medical Engineering in the Division of Engineering and Applied Science at Caltech, and the principal investigator of a paper describing the new camera. The paper was presented at the Optical Society of America's (OSA) Conference on Lasers and Electro-Optics (CLEO) and published online by the OSA in the OSA Technical Digest in March 2017. 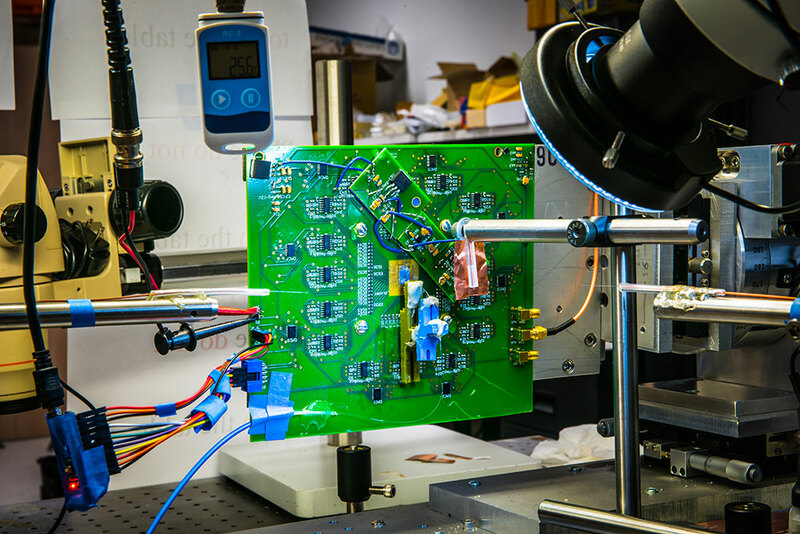 "We've created a single thin layer of integrated silicon photonics that emulates the lens and sensor of a digital camera, reducing the thickness and cost of digital cameras. It can mimic a regular lens, but can switch from a fish-eye to a telephoto lens instantaneously—with just a simple adjustment in the way the array receives light," Hajimiri says. Last year, Hajimiri's team rolled out a one-dimensional version of the camera that was capable of detecting images in a line, such that it acted like a lensless barcode reader but with no mechanically moving parts. This year's advance was to build the first two-dimensional array capable of creating a full image. 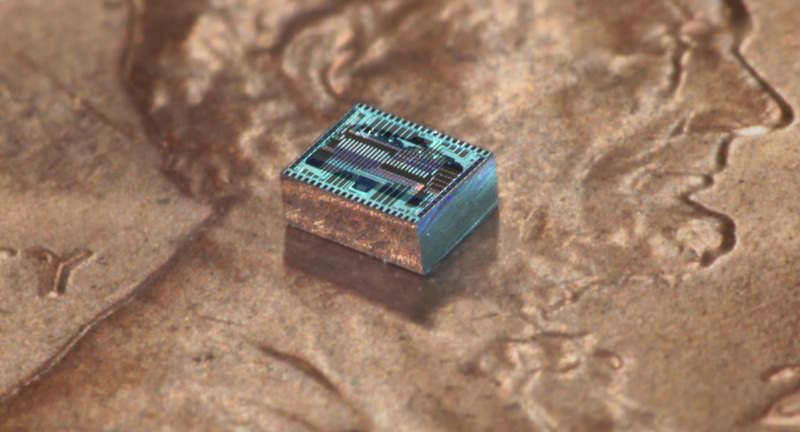 This first 2D lensless camera has an array composed of just 64 light receivers in an 8 by 8 grid. The resulting image has low resolution. But this system represents a proof of concept for a fundamental rethinking of camera technology, Hajimiri and his colleagues say. The study is titled "An 8X8 Heterodyne Lens-less OPA Camera." This research was funded by the Rothenberg Innovation Initiative (RI2), previously known as the Caltech Innovation Initiative (CI2).